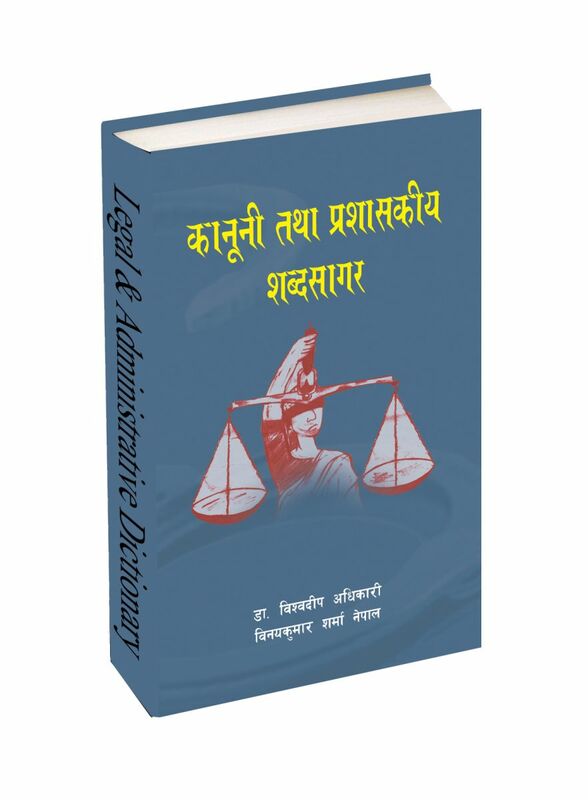 With Nepali and English dictionary, we have planned that legal and administrative dictionary is important for those who are interested in this field. In this dictionary the Pocket dictionary of legal is free. 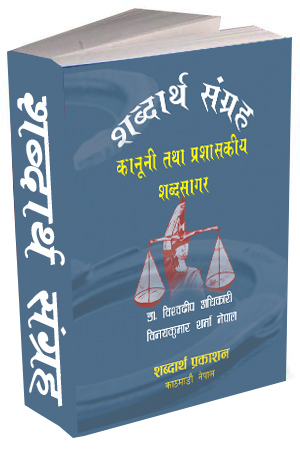 This dictionary is mainly used for those who were involve in law and those students who were interested in law. Page:- 724. Size:- half of A4. Price:- 460/- Edition:- 1st. Editor:- Vinaya Kumar. Sharma Nepal / Dr. Bishwadeep Adhikari.